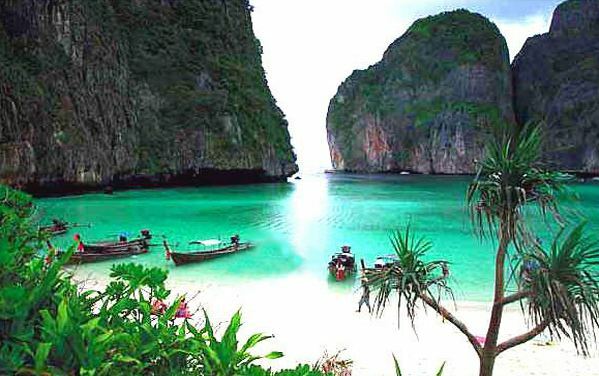 Phuket (Thai: , ) is one of the southern provinces (changwat) of Thailand. 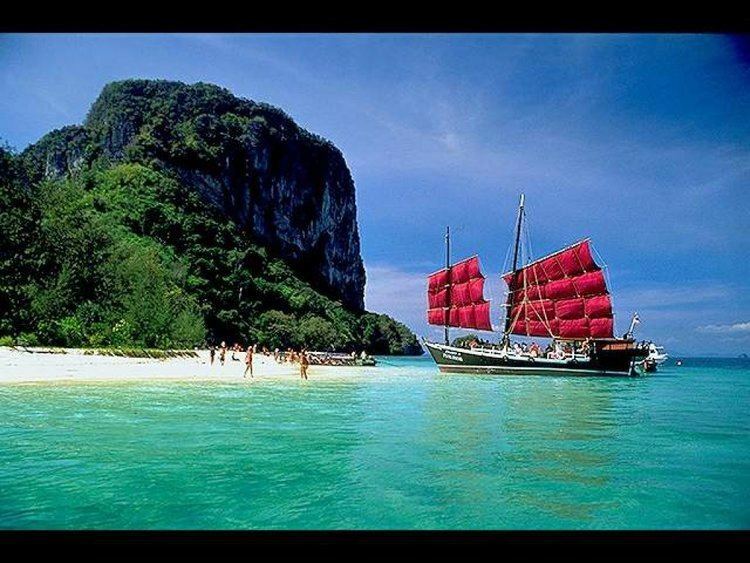 It consists of the island of Phuket, the countrys largest island, and another 32 smaller islands off its coast. 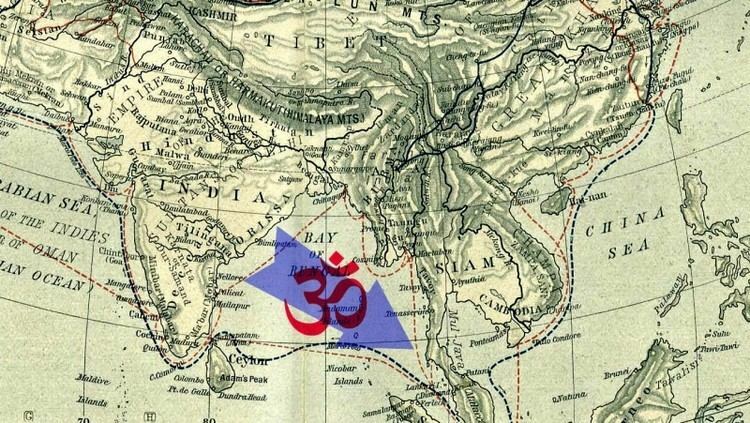 It lies off the west coast of Thailand in the Andaman Sea. Phuket Island is connected by bridge to Phang Nga Province to the north. The next nearest province is Krabi, to the east across Phang Nga Bay. In 1685, King Narai confirmed the French tin monopoly in Phuket to their ambassador, the Chevalier de Chaumont. Chaumonts former maître dhôtel, Sieur de Billy, was named governor of the island. However, the French were expelled from Siam after the 1688 Siamese revolution. On 10 April 1689, Desfarges led an expedition to re-capture Phuket to restore French control in Siam. His occupation of the island led to nothing, and Desfarges returned to Puducherry in January 1690. The Burmese attacked Phuket in 1785. Francis Light, a British East India Company captain passing by the island, notified the local administration that he had observed Burmese forces preparing to attack. Than Phu Ying Chan, the wife of the recently deceased governor, and her sister Mook (??????) assembled what local forces they could. After a month-long siege of the capital city, the Burmese were forced to retreat on 13 March 1785. The women became local heroines, receiving the royal titles Thao Thep Kasattri and Thao Si Sunthon from a grateful King Rama I. During the reign of King Chulalongkorn (Rama V), Phuket became the administrative center of the tin-producing southern provinces. In 1933 Monthon Phuket (??????????) was dissolved and Phuket became a province. Its population was 249,446 in 2000, rising to 525,709 in the 2010 decennial census, the highest growth rate of all provinces nationwide at 7.4% annually. Some 600,000 people reside on Phuket currently, among them migrants, international expats, Thais registered in other provinces, and locals. The registered population, however, includes only Thais, and the end of 2012 was 360,905 persons. The islands length, from north to south, is 48 kilometres (30 mi) and its width is 21 kilometres (13 mi). Seventy percent of Phukets area is covered with mountains which stretch from north to south. The remaining 30% are plains in the central and eastern parts of the island. It has a total of 9 brooks and creeks, but does not have any major rivers. Forest, rubber, and palm oil plantations cover 60% of the island. The west coast has several sandy beaches. The east coast beaches are more often muddy. Near the southernmost point is Laem Promthep ("Brahmas Cape"), a popular view point. In the mountainous north of the island is the Khao Phra Thaeo No-Hunting Area, protecting more than 20 km² of rainforest. The three highest peaks of this reserve are the Khao Prathiu (384 metres (1,260 ft)), Khao Bang Pae 388 metres (1,273 ft), and Khao Phara 422 metres (1,385 ft). The Sirinat National Park on the northwest coast was established in 1981 to protect an area of 90 square kilometres (35 sq mi) (68 kilometres (42 mi) marine area), including the Nai Yang Beach where sea turtles lay their eggs. The most popular (and overcrowded) tourist area on Phuket is Patong Beach on the central west coast, perhaps owing to the easy access to its wide and long beach. Most of Phukets nightlife and its shopping is in Patong, and the area has become increasingly developed. Patong means "the forest filled with banana leaves" in Thai. South of Patong lie Karon Beach, Kata Beach, Kata Noi Beach, and around the southern tip of the island, Nai Harn Beach and Rawai. To the north of Patong are Kamala Beach, Surin Beach, and Bang Tao Beach. These areas are generally much less developed than Patong. To the southeast is Bon Island and to the south are several coral islands. The Similan Islands lie to the northwest, and the Phi Phi Islands to the southeast. Tin mining was a major source of income for the island from the 16th century until petering out in the 20th century. In modern times, Phukets economy has rested on two pillars: rubber tree plantations (making Thailand the biggest producer of rubber in the world) and tourism. Two Heroines Monument (????????????????? ), is a monument in Amphoe Thalang, a memorial statue of the heroines Thao Thep Kasattri (Kunying Jan) and Thao Sri Sunthon (Mook), who rallied islanders in 1785 to repel Burmese invaders. As the islands governor had just died, the organization of Phukets defense against the Burmese invasion of 1785 was conducted by his widow, Thao Thep Kasattri. With her sisters help, they assembled what forces they had, then disguised local women as male soldiers, a ruse to swell the ranks of the defenders. After a months siege, the Burmese invaders became exhausted and withdrew. King Rama I awarded Kunying Jan with the royal title of Thao Thep Kasattri. Thalang National Museum (????????????????????? ????) is near the Two Heroines Monument. In 1985, on the 200th anniversary of the Thalang War, the Thalang National Museum was established. The museum contains a permanent exhibition of life in old Phuket, ancient artifacts, remains discovered on the coast, and materials used during war with Burma. Hat Patong (?????????) (Patong Beach) is Phukets most developed beach and is 3 kilometres (1.9 mi)-long. It is 15 km from Phuket town. Patong is mostly made up of hotels, restaurants, nightclubs and various tourist attractions. Daytime activities are primarily centered around the beach with watersport activities. Patong is equally well known for its nightlife, centered around Soi Bangla. The northern end of Patong Bay is called Kalim and is a popular place for viewing the sunset and for surfing between April and September each year. Hat Karon (???????) is the second largest of Phukets tourist beaches, approximately 20 kilometres (12 mi) from town. Large resort complexes line the road behind the shoreline, but the broad beach itself has no development. The southern point has a coral reef stretching toward Kata and Bu Island. There is also its sister beach, Karon Noi. View Point (????????) is located midway between Nai Harn and Kata Beaches. Kata Noi, Kata, Karon, and Ko Pu can be viewed from this point. Laem Phromthep (???????????) (Phromthep Cape) is a headland forming the extreme south end of Phuket. "Phrom" is Thai for the Hindu term "Brahma", signifying purity, and "thep" is Thai for "God". Local villagers used to refer to the cape as "Laem Chao", or the Gods Cape, and it was an easily recognizable landmark for the early seafarers traveling up the Malay Peninsula. Wat Chalong (????????????????????????) is where stands the cast statue of Luang Pho Cham, who helped the people of Phuket put down the Angyee, or Chinese Coolie Rebellion, in 1876 during the reign of Rama V. There are also statues of Luang Pho Chuang, and Luang Pho Cham, abbots of the temple during later times. Khao Phra Thaeo Wildlife Conservation Development and Extension Centre (?????????????????????????????????????????????????) is a center for study of the environment. Its duty is to promote and distribute wildlife within Khao Phra Thaeo wildlife park. The park is forested and also conserves a number of wild animals that would otherwise have gone extinct in Phuket. The Big Buddha of Phuket, ?????????????????????????? (Phra Phutta Ming Mongkol Akenakiri or Ming Mongkol Buddha), is on the peak of a mountain near Muang Phuket, or Phuket town (??????). The image is 45 m in height and covered in white Burmese marble. Phuket Butterfly Garden and Insect World, ?????????????????????????? is one of the very few remaining butterfly gardens in Thailand. Thao Thep Krasattri and Thao Si Sunthon Fair (?????????????????? - ????????????) is held on March 13 every year to commemorate the two great heroines who rallied the Thalang people to repel Burmese invaders. Vegetarian Festival or Nine Emperor gods Festival (Chinese: ???? ?KiuHong ShengHue or ?? ?, KiuHongYe) Phuket Chinese people Call ??? ?jai Cai (???????????(??????-??????????)) is held on the first day of the 9th Chinese lunar month (end-Sep or early-Oct). Phuket islanders of Chinese ancestry commit themselves to a 9-day vegetarian diet, a form of purification believed to help make the forthcoming year trouble-free. The festival is marked by several ascetic displays, including fire-walking and ascending sharp-bladed ladders. Ghost Festival or Pho To Festival (Chinese: ???? Full name is U Lan Pun Sheng Hue (Chinese: ?????? is held on the middle day of the 7th Chinese lunar month. Intrinsic to the Ghost Festival is ancestor worship. Activities include preparing food offerings, burning incense, and burning joss paper, a papier-mâché form of material items such as clothes, gold, and other goods for the visiting spirits. Elaborate meals (often vegetarian) are served with empty seats for each of the deceased in the family. Other festivities may include, buying and releasing miniature paper boats and lanterns on water, which signifies giving direction to lost souls. Phuket Kings Cup Regatta (?????????????????????????????) is held in December. The Kata Beach Resort hosts yachtsmen, largely from neighbouring countries who compete for trophies. Laguna Phuket Triathlon (????????????????????) is held each December. The triathlon (a 1,800 metres (5,900 ft) swim, a 55 kilometres (34 mi) bike race and a 12 kilometres (7.5 mi) run and a 6 kilometres (3.7 mi) fun run) attracts athletes from all over the world. Phuket Travel Fair (??????????????????????????????????????? ), starting 1 November, is usually called the Patong Carnival, from the place where celebrations occur. Colourful parades, sports events, and a beauty competition for foreign tourists are major activities. Chao Le (Sea Gypsy) Boat Floating Festival (??????????????????????) falls during the middle of the sixth and eleventh lunar months yearly. The sea gypsy villages at Rawai and Sapam hold their ceremonies on the 13th; Ko Si-re celebrates on the 14th; and Laem La (east of the bridge on Phukets northern tip) on the 15th. Ceremonies, which centre around the setting small boats adrift similar to the Thai festival of Loi Krathong, are held at night and their purpose is to drive away evil and bring good luck.